Her own desire is how she must now live. The ache until one caught against the other. Before we can no longer bear to look. 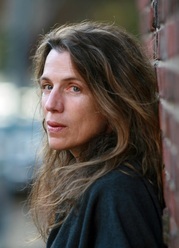 Sophie Cabot Black has three poetry collections from Graywolf Press, The Misunderstanding of Nature, (Norma Farber First Book Award) and The Descent, (2005 Connecticut Book Award) and The Exchange (2013). Most recently, she taught at Columbia University.